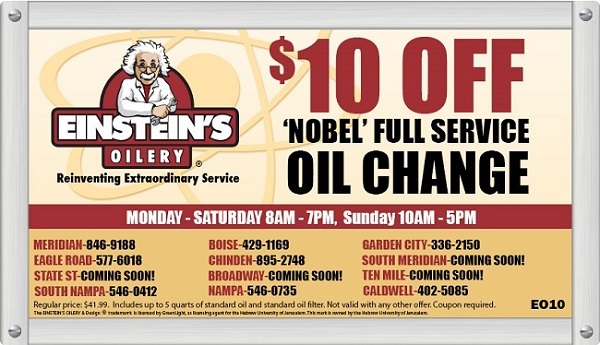 Back to School Oil Change Savings! Don’t let your oil change get lost in the back to school bedlam! Check it off your to-do list and save $10 with our online coupon! Simply show the above coupon on your smartphone to receive discount or click the image above to print your coupon.